We don't see our doctor often, thankfully, but when we do I love the way he doesn't even flinch at all of my questions, and when we want to go our own way (such as on the vaccination issue), he says, “I disagree, but ultimately it's your choice.” That's really all I ask. I want his opinion, and I do wish he was more natural-minded, but if we do our own research and don't follow his advice, he's okay with it. He's the same way when it comes to mammograms. (Read more about my difficult original decisions regarding a baseline mammogram.) It's a good thing, because that issue has me frustrated anew. Behind-the-scenes games are being played and our safety is in jeopardy! And my doctor wonders why I don't skip right in for another mammogram when he says it's ‘time'. Kent and I are still in our 40's and haven't yet started getting the push for colonoscopies, but we're not at the doctor's office yearly like most are, either. While we do have to keep a close eye on Kent's blood pressure these days, we're not of the mindset that we need “check-ups”. If we're sick and can't handle it ourselves, we'll go, and yes, we'll be thankful they are there, but if not, why subject ourselves to their opinions on the necessities of all the “screenings”? DISCLAIMER: Keep in mind, I am not a medical professional, so you need to use your own judgment and common sense when deciding how to handle your own health care decisions! I'm just sharing where we are with these issues. Read my full disclaimer here. 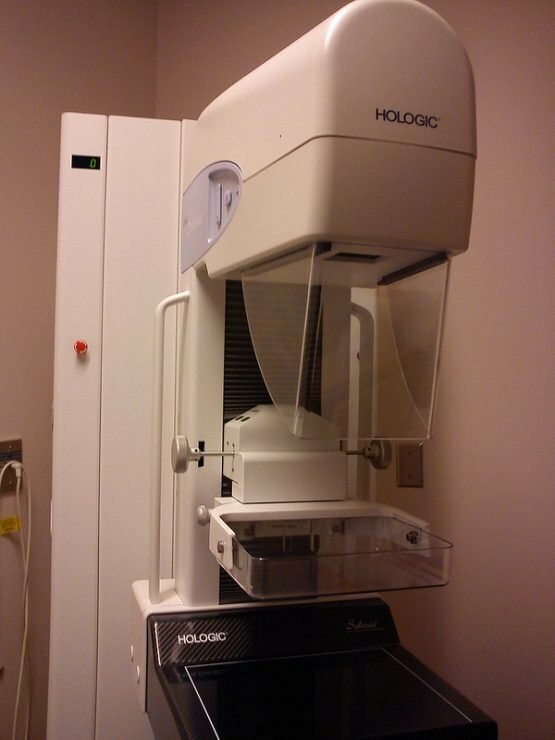 Will we get colonoscopies someday or will I ever get another mammogram? I don't know, but this information sure gives me reason to do a LOT more research first. The more I read, the more I think that “cancer screenings” are not so much about detecting problems, but instead may be great big revenue generating streams. We probably all know someone, though, who had a screening and because of it they got the treatment that saved their lives. Obviously, that's why it's such a tough issue. However, we rarely (never?) see studies about how many were falsely diagnosed, or how many got cancer from all of the radiation! There are a lot of questions out there that we just don't have the answers to, and there's so much going on behind the scenes that we couldn't know about, so all of this makes me very cautious. As with everything, whether it's the food we eat, the medicines our doctor wants us to take, or cancer screenings, we cannot blindly trust anyone no matter the letters following their names and certainly not because they're part of a big government agency. What do you think? Do you get cancer screenings? Are the pink ribbons a big scam? Why we *need* saturated fats and should never take a cholesterol-lowering med – scroll down through the articles there for all sorts of helpful scoop on these issues. Watch out for the raw milk spies – the FDA screws with our rights to eat real food, too. It’s so hard to say either way but what does sadden me is that we have forgotten how to listen to our bodies and our instincts. So much of our culture relies on the “experts” but as stated earlier there seems to be alternative financial gain behind those “experts”. It’s no wonder the wool can be pulled so easily over the general population when we blindly follow and don’t ask the hard questions or believe in our instincts. I also have had thermagrams for many years. I also have cystic breasts and have many mammograms. I did have to have surgery but I refused to have a mammogram so they agreed to do ultrasound. I would have an MRI if warranted and that is much more conclusive anyways. This is such a good subject and one that needs to be talked about. Thank you for doing that. Thermograms are able to detect cancer cells up to 7 years earlier than mammograms. I have had way too many mammograms as I had cystic breast disease until I discovered potassium iodide. I did a couple of thermograms. I do not do anything now. I am 70 and feel great. I think that diet plays a great part. 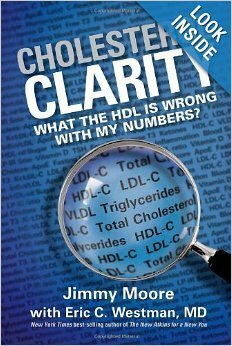 If you have enough cholesterol, your cell membranes are strong enough to resist invaders as cancer cells. We all have cancer cells, but they are a problem only when the immune system is compromised. Nanci, if you see this, could you please explain what you mean by discovering potassium iodide? Do you have an online (or otherwise) resource that you could point to for more information? Many thanks. I had goiter issues and used Dr. Brownstein’s procedure. In reading the flyer that came with the tablets, I saw that they were used to cure cystic breast disease. I looked for information and was so sad that I had not seen this years before. I used the Iodoral that I got from either Jonathan Wright or Amazon. He has several books out. This was quite a few years ago. Sue and Janice, I’m not sure about any of that, what I’d do OR what to suggest – it’s all such a tough issue! I’ll put this on Facebook tomorrow and see if we can get some good input. Found this in my email this afternoon. More reasons to skip the mammogram. This has been on my mind lately. I have never had a mammogram but do have thermograms. After the results of my last one, I have been advised to see my regular doctor and follow up with another thermogram in 6 months. I scheduled a physical with my regular doctor…I haven’t been in about three years. I have a feeling that a mammogram will be advised. 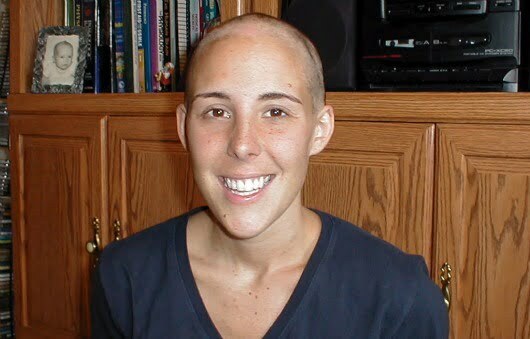 Kelly, after reading your story, maybe one mammogram for a baseline wouldn’t be a bad idea. But I’m scared that they might find something questionable and then what? Does anyone have any suggestions for a protocol prior/after a mammogram to minimize the radiation effects in the body? My doctor’s office just called today to remind me that I hadn’t had my mammogram. I just told her that I wasn’t going to have one. I’ve told her at least twice that I wasn’t going to have one. -How can you tell if you have breast cancer other than from doing self-exams? -Do you think that thermograms are the best way to show changes? What I’ve read about them, they say that they’re not a substitute for mammorgrams. They are expensive, and after you have one, do you also have to pay another doctor to explain the results? If so, are those costs included? -If you find suspicious results, regardless of how you find out, then what do you do? I’ve read that there’s a urine test to see if you have cancer. ( https://www.navarromedicalclinic.com/) Is there anyway to know if this is accurate? If so, maybe that would be the cheapest way to find out. Then the whole other dilemma is what do you do if you find out that you have cancer. I’m 60 & honestly don’t think I’d have surgery, chemo or radiation if I had cancer. I’ve been reading lots of books and articles online and getting my resources together in case I or someone in my family is diagnosed with cancer. So far it seems that proper nutrition & prayer are the only way to change it’s course. I think a lot of medical practices are for monetary purposes only. Like eye exams. Remember when people only went to the eye doctor because their vision had become blurry or they were getting headaches? We didn’t all go once a year like they recommend now. Or how about vets? My friend brings her dog to the vet for a check up twice a year because he tells her its the best way to monitor the dog for “optimum health.” Each time she does, she walks away with a $300-$600 bill. My dogs have never been to the vet (except for the freebie visit from the shelter when we adopted them). I feed them real food and their are happy, shiny and thriving. I could go on and on, but once you start thinking about all these doctor appointments we are supposed to be doing regularly, it really makes you see how they are nothing more than a money making scam, and because we don’t know any better, we all just go along with their recommendations because, golly, they’re the ones with the degree! Yeah, Kent and I send the kids to yearly dental check-ups, but we don’t go anymore at all. We for sure don’t do yearly eye exams! I will say this, as a woman with horrible nearsightedness, not all ophthalmologists are so bad. I last went in for an exam in late 2010. (Yes I am due another one) I told the dr then that when I had gotten my last pair of glasses the people at the eyeglass shop they said I should be going annually. He said no way, and you only need about every 3 years. On the main topic: when my mom went into hospice last fall (she had metastasized breast cancer in the lung and was close to dying), I called her natruopath to let her know. One of the things she said to me in that conversation was “DO NOT GET A MAMOGRAM!” I had not planned on it anyway, with the stories in recent years that they do not help and can actually make some cases worse. Since I am about to be that age I will be insisting on thermography. Losing both my mom and her sister to cancer which had started in the breast (though I do not carry the gene), I do know I need to check this but I do not want to apply something which can make tumors grow to an area where I might get them. Hi Soli, how nice that you know you don’t have “the gene”! It is a big weight off my shoulders, since it has happened in my direct maternal line. I don’t know if 23andme shares results like those now, but in any case I am glad I did the testing when I did last year. My mom was relieved to know as well. It is hard to know what to do, but for another story of how colonoscopy may save lives; a friend went in for his first one at age 54, no symptoms, no nothing, just because “you’re supposed to”, to find out he has stage 4 cancer that has spread. Had he gotten the colonoscopy at 50, would it have mattered? Would he have gone through this same, very aggressive, cancer treatment? As sole support in this homeschool family of 5 kids from early elementary to college, what kind of options would you pick, at stage 4? Are they better off knowing, having huge expenses, or to have just kept on going life as usual? At least with colonoscopies, most of us don’t have to have them very often, only every 5 to 10 years. There are very real risks, that are heavily downplayed, to having one. Deciding how you would want to treat a cancer in you, before ever having any, can help you decide whether or not to have these tests. We live in a fallen world, and his diagnosis shows that even real food eating and taking care of yourself properly don’t bring your risk to zero. I hear about this mammogram stuff from another site. From what I’ve heard, thermograms are a safer alternative because they infrared light to detect breast cancer. It measures heat radiation in your body and detects cancer long before it becomes blatantly active. This has been on my mind a lot as I’m nearing 40. You are right, the medical industry changes it’s mind and back tracks so much. I am baffled as to why I get “the look” from doctors when we say there is too much conflicting data and we don’t want “x” procedure or “x” medicine. I’m worn out with modern medicine sometimes. Grateful at times too…but we really have to use our own common sense a lot and not blindly follow everything they suggest.